The blackberry I’m very familiar with, but here in KY they are ripe the first part of July. 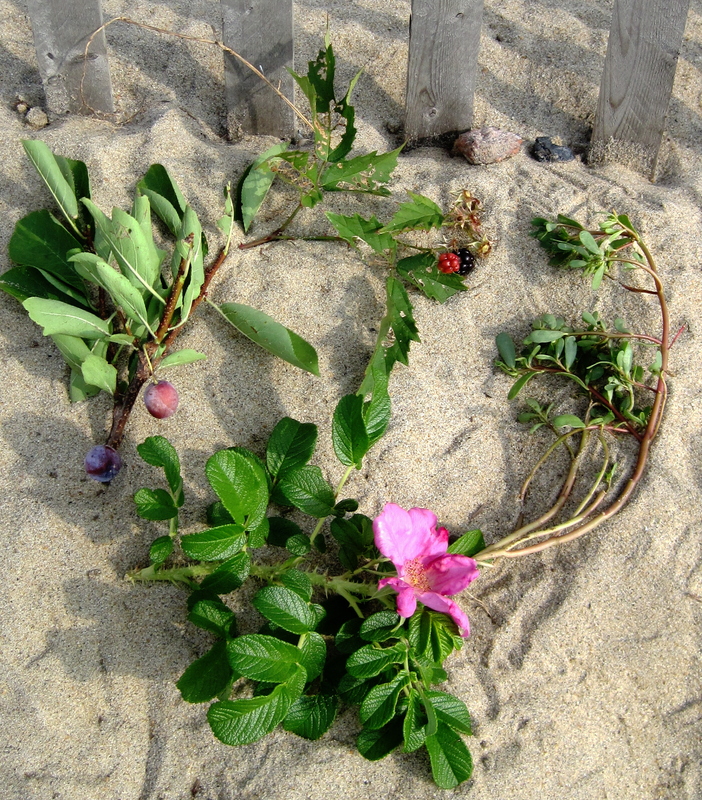 The beach ones I don’t know about, but we do have rose petals and rose hips here, mostly still blooming. I keep checking the bushes out each time I go by them. Just wish I had a sense of smell. But one day soon, I’ll start harvesting rose hips. I don’t dare touch the petals or the rose police will kill me, but don’t think they know about the hips. Hope not, anyway. My cookbook has a chapter about leaves “on the wild side” that can be found out there. I live where there is lots of open space that is untouched. I’d love to be able to forage for dock etc. Problem, we aren’t allowed off the walking paths. Hi Karen–Where do you live? Are the restrictions just in national parks? No. Here in Boulder City, Boulder County, and surrounds we’ve voted in “open space” all over the place (keeping the housing prices high, the area beautiful, and the environment great for outdoorsy people). However we aren’t allowed off the trails nor to pick anything we find here. We have state and Natl parks nearby (and the famous Stanley Hotel from The Shining and the Mork and Mindy house – if you are old enough to remember that) and I assume they are strict also…they are in the mountains.